I did several more layouts for Christine-Art, so, she posted them on her blog, Christine-Art.com. Click on image to go see her post with my art. Thank you so very much for looking! Christine, thank you for allowing me to have such fun working with your kits! Hiya! I wanted to pop in with some things to share with you! Yay! One, right off, is my ‘logo’. I ‘slipped’ it in on the first parts of the Dec freebie. My friend, Su, from StarSunflowerStudios, actually commented on it. Thank you, Su! The two hands holding a card with my name on it was too big. It covered too much of a preview. So, I looked to do something else. Since my nickname was one I picked up in my ‘hippie chick’ days, I thought about something along those lines. The ‘whirling dervishes’, as they were referred to, were the chicks, and a few dudes, who would dance and spin around to the music at the live events. Yeah, I was one of those! LOL I had seen the ‘gypsy’ silhouette at 123RF stock, so, I used one with some paint spattering and texture. It takes up a lot less room on a preview, yet, I think, it still stands out. I had hoped you would like it! Looking back, still, ever since my teen years I have kept some kind of journal/sketchbook. With journaling, if I was in a dilemma over something, by the time I transferred my feelings to paper, I had usually ‘worked through’ what ever it was. That happened a lot! I think that, with me giving the matter(s) their due while writing, I would mull it over and, more often than not, find answers or, at least, some measure of resolve. The ‘free’ spirit in me has always bucked tradition and art journaling was built to order for this chick! I just haven’t ever set out to do a ‘journal’, like in a book format, yet. I’d like to. So far, though, I have just been creating art, and only occasionally adding some prose or text expressing a feeling. After my most recent drama, here, at home, I could really use the opportunity to work through some of it via my art and/or writing. To get it out in an art piece, or, in a little journaling, I think, would do wonders for me! There are some awesome kits and sets available for journaling anything and everything. One look at almost any scrapbooking site and there is a section on journaling. But, they were designed by another for whatever use they had in mind. They just aren’t my own. I knew I wanted to use a ‘canvas’ for my base and went in search. There aren’t very many available and those that are, well, they are quite pricey. So, I decided to start totally from scratch and make my own. The very first need was a canvas/page. ‘Gesso-smeared canvas’ is a look that is really popular, perfect for art journaling. I couldn’t find much along those lines, though. So, that is what I made. Five(5) of them! They are free to use any ol’ way your little hearts desire! Well, other than harmful. LOL Click on the preview to download! Here is a close-up of one of the textures so you can see what the canvas and gesso look like. Like the one above, the rest of the textures are all neutral, 3600X3600px in size, 300 ppi, and free to use, no credit necessary! Greetings, All! I’m back to share a little more gross-ness with ya for the spooky holidays coming up! If you saw the QP’s for this month’s freebie, “Goth-n-Gore”, last week, one of them had a dirt background with grub worms crawling throughout. I meant to include just the background in the kit, but, I forgot it. So, I am going to go ya one better! I will give it to you here, plus, I’ll show you how I made it, complete with resources! Click on image to visit post. And, finally, the tutorial for the wormy-dirt background! 1 – In Photoshop, open the 3600X3600px ‘Dirt Texture’ from above. Load the ‘.PAT’, Pattern, file. 2 – Create a ‘New File Document’ at 3600X3600px, 300DPI, RGB, Transparent Background. Copy and paste the ‘Dirt Texture’ into this ‘new doc’. 3 – Create a ‘New Layer’ in the Layers Palette and fill it with the ‘Worm’ pattern. I increased the ‘Size’ of the pattern to 200% for a better look. This pattern is not seamless, but, since we are only showing several of the worms, it won’t matter. Just avoid any ‘lines’ where the patterns don’t match. 4 – Slip the ‘Worm’ layer down underneath the ‘Dirt Texture’. 5 – Add a Layer Mask to the ‘Dirt Texture’ layer. 6 – Lower the Opacity of the ‘Dirt’ layer enough to see the Worms underneath. 7 – Click on the Mask to activate it. With a soft brush, using black, ‘paint over’ several of the worms to expose them. I lowered the ‘opacity’ of my brush to 15% to let the worms peek through gradually. Brush over the lighter areas more than the darker areas, following the highlights and shading of the worm pattern. You can vary the strokes to achieve a more random look. It will appear as though the ‘worms’ are coming through the soil. 8 – Raise the Opacity of the Dirt Texture layer back to 100%. 9 – Add any enhancements or adjustments to the overall image, merge the layers and save! That’s it! Finally, here is one background I made if you don’t want to make this yourself. Click on image to save it full size. It is 3600x3600px @ 1.6mb. I hope you understand my directions. If not, post a comment and I will get back to you. Have fun! It’s done! From now on, all my downloads will be direct downloads! Yay! I shouldn’t have to host my files on Minus anymore, though, of all the hosting sites, they were awesome! I learned how to use the FTP and put the files in to my site’s files for direct download. Thanks to my friend, J. and the folks at Hosting Bonanza! All files are ‘on site’! Woo-hoo! I hope to, eventually, move the bulk of my goodies in to my own site, so, I don’t have to rely on the hosting sites anymore. Then, I won’t have to put up with the scams (see last post), pop-ups, and constant waiting that come with some of those sites! Yay! 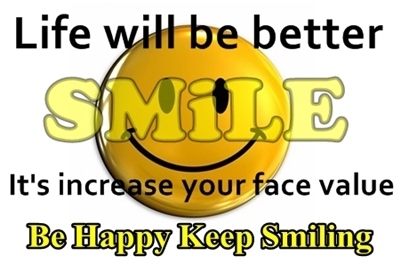 If you are in to digital scrapbooking, there is an entire community of scrappers online. There are hundreds of shops, forums and articles, with tips and tutorials, that make up one huge community. Everything I have learned in scrapping, I learned from other scrappers, either by asking, reading posts, or from tutorials. This is probably the case with many of my fellow scrappers. You seek out and find a site, possibly with a forum and a good group of folks, with fun challenges and helpful members, and you’re set! Everyone seems to find their niche quite easily as the members are a friendly bunch. That’s what I have noticed about scrapbooking. Everyone is so helpful and friendly! I will venture a guess and say that over half, at least, the scrappers use Photoshop. Learning PS is the biggest hurdle! So, along with learning digi-scrapping, you must learn how to use Photoshop, or some other editing program. It is in trying to learn PS that I have discovered another huge community of folks – the PS design blogs/sites. These are the sites where you can read anything at all on the topic of using Photoshop. 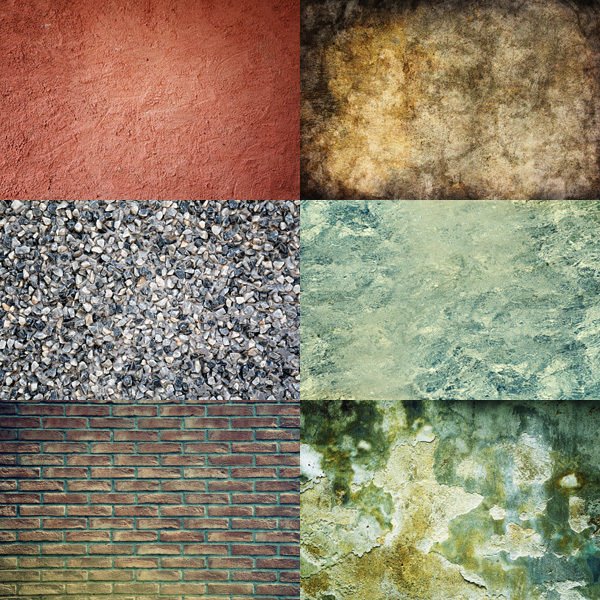 You can find a plethora of presets: textures, patterns, brushes, actions, you name it! If it works in PS, it is offered! Additionally, there are scads of tutorials that are there to teach old and new techniques and offer inspiration. Some sites have Premium areas where members have access to certain tutorials and PS goodies for a minimal fee. Most are under 10 dollars a month, with even better deals for 6 or 12 month memberships. Several of the larger sites are a part of a network of related sites, all included under one membership and all geared to help you with design! But, the bulk of these sites are there for your perusal of free goodies. I sign up for the RSS feed on most of them and have their frequent updates and newsletters sent right to my inbox so I don’t miss a thing. Over time, I have learned which ones are better than others and have adjusted my e-mail intake accordingly. I bring all this up as the scrapbooking community, as huge at it is, is not the end all of obtaining resources and learning Photoshop. While these PS design blogs/sites may not have blinkies to collect and display on our blogs, and they may not have the challenges and communal events so popular in scrapping sites, they offer some serious PS help! Over the past 4 years, I have learned a great deal from subscribing to these design sites. I’ve also learned which ones are preferable. I want to share with you all what I have found. I promise you won’t be disappointed in any of them! I want to note that some of these sites have ‘vectors’, either in their name or as a feature. DO NOT ignore these sites! Vectors work in PS! If you don’t know this, you do now. Look at the file format – .ai (Adobe Illustrator). Adobe is the key word here. But, .eps (Encapsulated Post Script) files open in PS, too. Try to open either one in PS and see for yourself. There is a box that pops up that will guide you through opening the image. As PS is a raster program, the .ai and .eps files will be converted into rasters once opened. To maintain the ‘vector’ status, though, they must be opened in Illustrator or another vector program. WebTreats – This site is well-known for their wonderful patterns with liberal terms. But, they do offer other PS presets, such as brushes, textures, shapes, styles, etc. I know you’ve seen these around the web! I tend to fancy this site as the folks there are wonderful help! On their BlogsFanExtra site, you can ask for and receive a redesign of your blog – free. Tom will evaluate your current blog/site and make recommendations. He includes a .PSD file of his recommended suggestions. He did my previous blog and I took his advice, carrying over to this blog, his ideas and suggestions. My content is what I want featured, not necessarily other scrappers blogs. He’s evaluated some popular sites since it’s inception. PSDTuts – This site is also a part of a large network with a Premium section. They’re very well known for thier tutorials and their ‘mini-courses’ in all sort of Photoshop training. Their Basix series, featured by Martin Perhiniak, is wonderful for a beginner learning PS. They also offer many free resources such as the previously mentioned presets. and a set of styles that create both Letterpress and embossed effects for your designs. CreativeNerds – Another good site, featuring similar free resources and tutorials. They often feature goodies from other sites that one might miss if they didn’t. They have a really good Premium section and, get this, their membership is $15.99 for A YEAR! Each download comes with a scalable vector and a PS .PAT file. They have some cute designs, perfect for scrapbooking! Fuzzimo – I saved the best for last! This site seems to cater to the needs of us scrappers. They offer some fantastic freebies, many of which I have used, myself, and have seen others use.